In Singapore’s fast-paced working environment, we are often bombarded with a revolving door of stressors that can take a toll on both our mental (and physical) health. 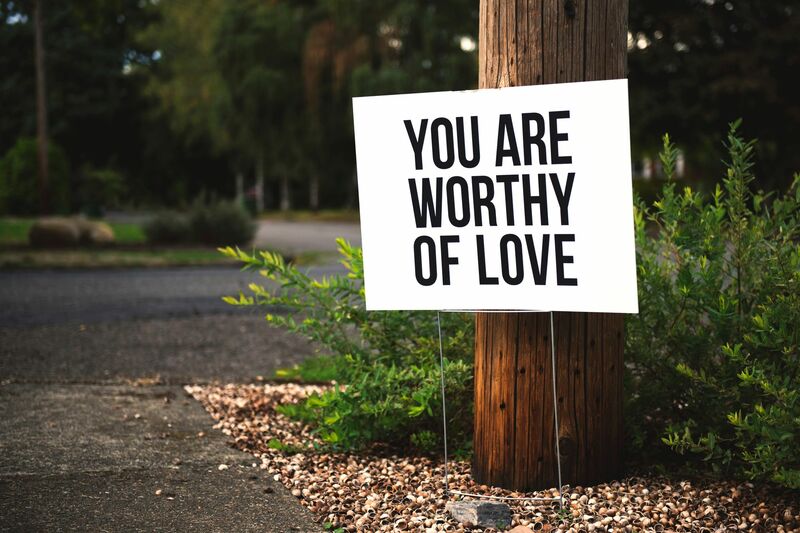 Self-affirmation is a tool you can use: there is substantial research supporting the effectiveness of it on a variety of positive outcomes related to mental health. Whether you have an unexpected crisis in the workplace or issues at home, it can be difficult to remain resilient in the face of all these pressures, and we don’t always have the time to sit down with a therapist and work through each issue one-by-one. This is where self-affirmation comes in, a psychological tool that can potentially help you maintain a stable sense of self-worth, and in turn, mental health, with each passing day. Read on to learn more about how self-affirmation can work for you and how you can add it to your routine. When we feel good about ourselves, our mental health tends to be relatively stable—this is an intuitive fact that lies at the core of self-affirmation theory. A key principle of this theory is that the self is composed of many parts or ‘domains.’ Such domains could include the family, spirituality, friends, work performance, and so on. In this light, the self should be understood as more of a system rather than an entity tied down to a single definition. Here’s the catch: when one of these domains is threatened, another domain can be affirmed to maintain an overall positive perception of self-worth. Let’s take the example of work performance. If your boss yells at you for doing poorly in one project, this will likely cause your self-worth to come under threat. One way to alleviate this threat is through self-affirmation, which involves reminding yourself of an important quality, value or trait completely unrelated to work performance. For example, you could affirm being a good son or maybe a successful rock climber. In this process, your self-worth should balance out and become stable. In other words, self-affirmation involves compensating for a failure in one area of your life by re-affirming success in another. Goal-setting can also help in this process. Some goals we set are easily achievable and others we may never achieve, but you're likely to have a good balance: giving you fuel to engage in self-affirmation. Sometimes, when we are feeling especially defeated, we can get lost in an irrational cycle of negativity where we fail to acknowledge the existence of a “brighter side.” By engaging in self-affirmation regularly, we can train ourselves to be more conscious of how our self-worth isn’t dependent on just one bad day. We need to look at everything holistically before passing judgment on ourselves. Self-affirmation has become a hot topic in pop culture, and it sounds like one of those self-help fads endorsed in magazines that seem too good to be true. However, there is indeed substantial research supporting the effectiveness of self-affirmation on a variety of positive outcomes related to mental health. In particular, self-affirmation can mitigate the effects of stress. In one experiment on college undergraduates, half went through a self-affirmation writing class while the other half completed an irrelevant writing task before taking a major midterm exam. By the morning of the exam, the students who affirmed themselves had reduced levels of epinephrine, a hormone linked to the fight-or-flight response normally exhibited in times of stress. Chronic stress can threaten core aspects of the self since it makes us question our ability to handle high-pressure demands. Self-affirmation can make us more resilient to otherwise overwhelming stressors, even if just for a temporary period. Outside of stress reduction, self-affirmation has been shown to promote more open-mindedness when it comes to our relationships, improved academic/workplace performance, and less aggressive or defensive behavior. In doing so, the well-being of both you and your loved ones can be maintained. Beyond mental health, self-affirmation can also have important implications for our physical health, albeit not directly. As human beings, we are motivated to view ourselves as healthy people. Any evidence that suggests otherwise, such as articles that link smoking with lung cancer, criticisms about your diet, or warnings about the harmful effects of stress, can threaten that perception. A common response in the face of such threats is denial or defensiveness. Exhibit A: the person who says, “Oh, I don’t smoke that much”, when confronted with evidence about smoking’s deadly effects. Studies have found when participants engage in self-affirmation, however, they no longer respond defensively, becoming more open-minded to what medical experts have to say for their own good. How can I use self-affirmation in my day-to-day life? Post the values that are most important to you somewhere. Most of the experiments testing self-affirmation involve some kind of reflective writing exercise. You don’t have to make this long or frequent—post these values as a post-it on your dresser or your office desk as a reminder of who you are and what motivates you. This is where you inspirational cliches can come in, but even something like “Creativity defines who I am because…” in a small notebook could make a difference. Reflect on your positive qualities and strengths before a stressful experience. You might have an important presentation, meeting, or date coming up that’s making you anxious. Beforehand, calm yourself down by consciously reminding yourself of your strong suits and what you have to offer. Keep a journal. Self-affirmation doesn’t have to be a one-off intervention with short-term effects. If you practice it daily by connecting your most important values with your daily experiences, it can inform how you cope with stressors in the long run. Every other day, write a short journal entry on how your experiences on that day tie in with your most important value. For example, you could discuss how driving your siblings to school might reflect the importance you place on family. One study employed this “meaning-making” affirmation method on students over one winter break, resulting in less self-reported stress and better overall health outcomes. One thing to keep in mind is that you have to believe in what you are affirming. Don’t force yourself to reflect on a value or quality that isn’t that important to you to begin with. Sometimes, it can get hard to hype yourself up when your self-esteem hits an all-time low—in fact, some studies have found that self-affirmation has mixed results for those with negative self-views. Remember that self-affirmation alone is not an all-encompassing solution to mental health issues, so in these serious circumstances, consider reaching out to a licensed psychiatrist or counsellor for the help you need. If you are someone who struggles with chronic depression or anxiety, you should find a doctor or therapist to come up with a personalized action plan. Here are some tips on how to find a doctor or therapist in Singapore. You can also speak to a doctor online on RingMD from wherever you are (just click the button below).